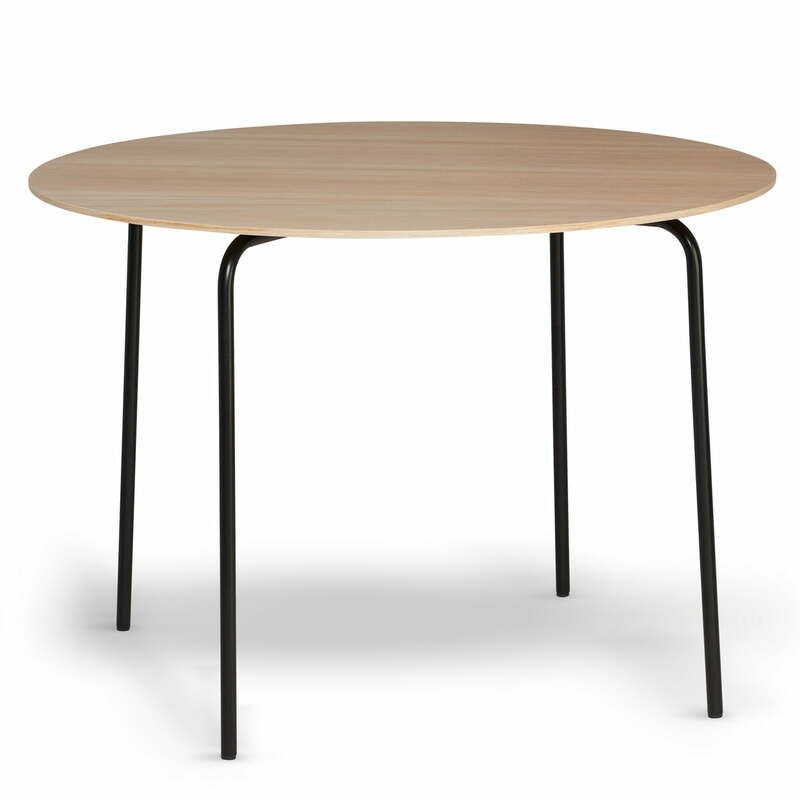 The Camp dining table was designed by Rudi Wulff, whose work focuses on minimalism. 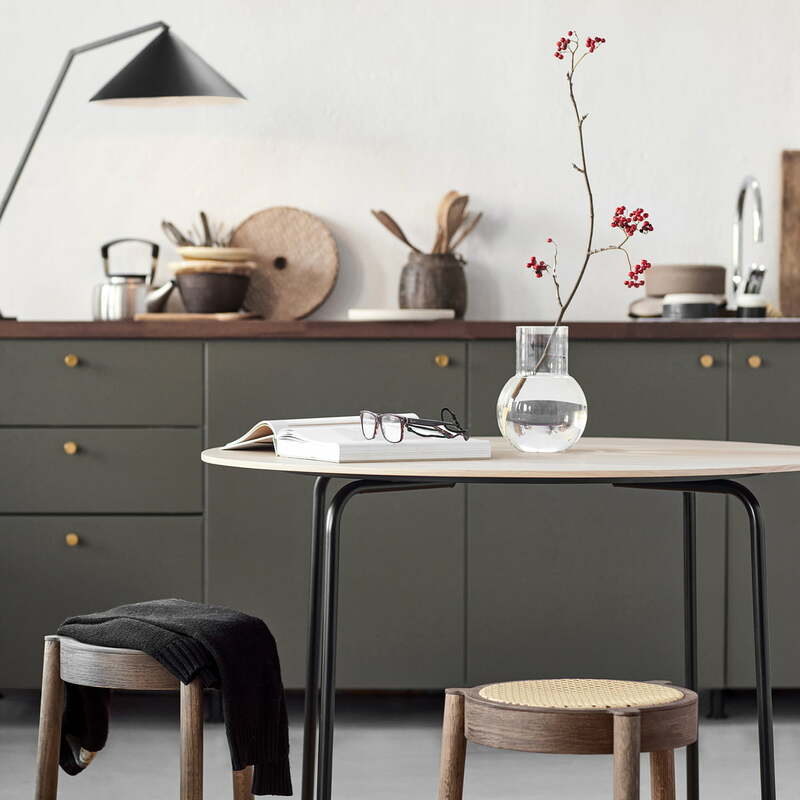 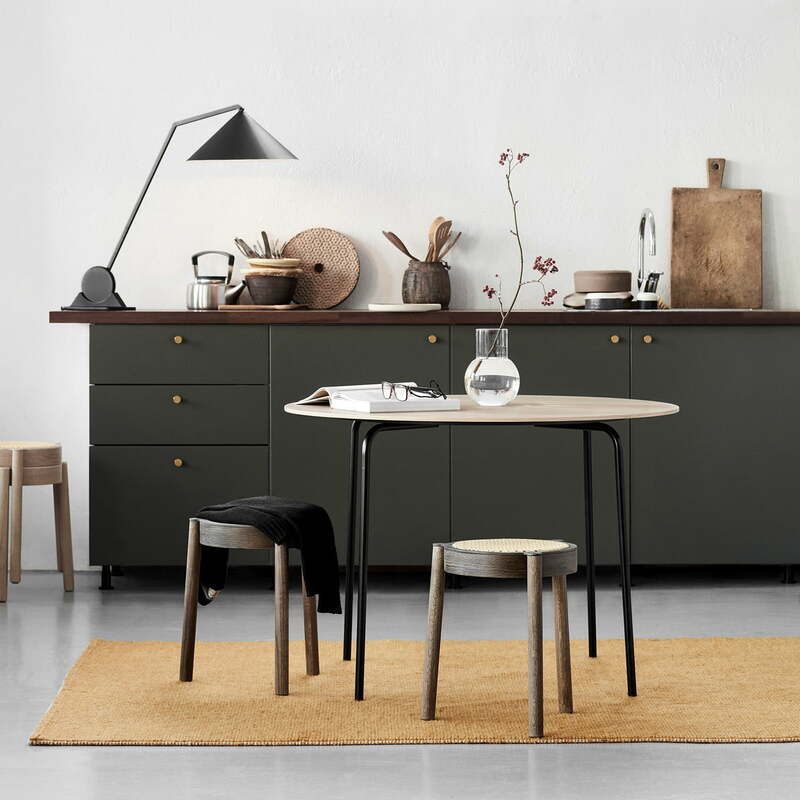 The Camp table is reduced to the essentials and has a simple, Scandinavian style. 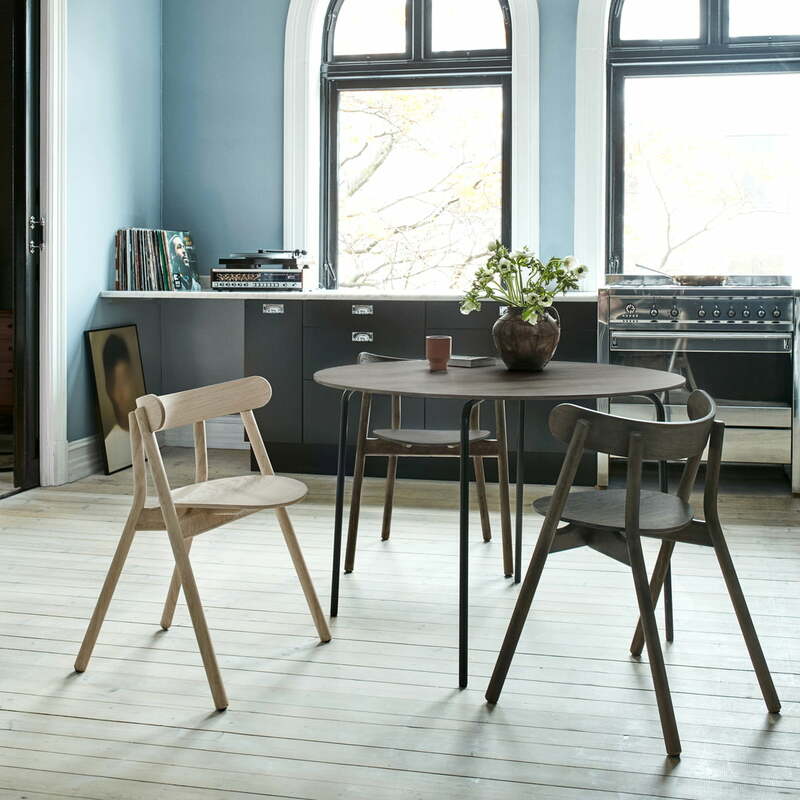 The four slender steel legs perfectly complement the thin tabletop, creating a harmonious overall appearance. With a diameter of 105 cm, the table provides enough space for up to four people. Thanks to its compact shape and graceful design, the round dining table is ideal for smaller kitchens and dining areas. 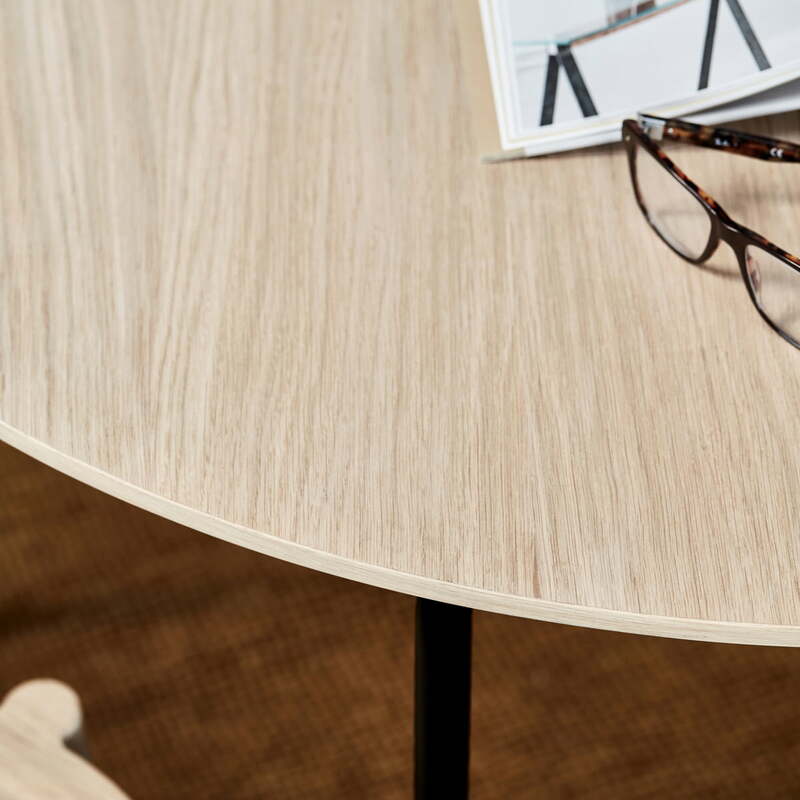 The table is available with a black frame and a tabletop made from veneered oak or nano-laminate.